Our goal is to develop and assemble an affordable and relatively reliable air quality sensor. 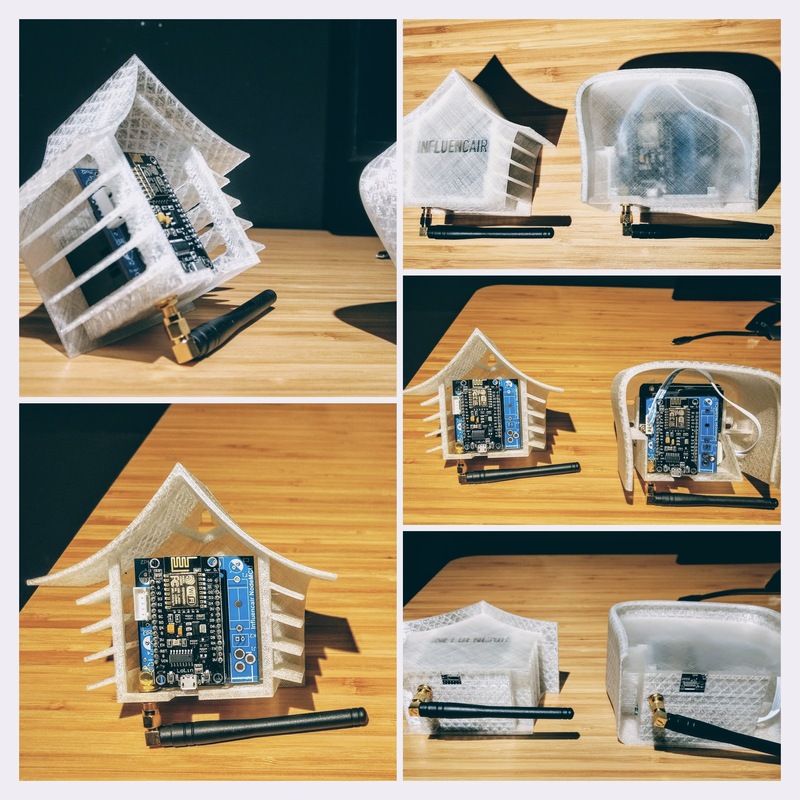 Inspired by the work of the Open Knowledge Lab Stuttgart and their Luftdaten project, we adopted the SDS011 sensor combined with the Wi-Fi microchip NodeMCU ESP8266 to send the real-time measurement data to the server. At the moment, we are doing tests with the Honeywell HPMA115S0 sensor, which look promising. Furthermore, in order to make our sensors more user-friendly, we are looking into using a Low Power Wide Area Network (LoRaWAN) instead of WiFi for the data transfer. We are building a network of air quality sensors all over Brussels sending real-time measurements every couple of seconds to the data server (open data of all sensors in JSON format & per individual sensor). It is our goal to set up a critical mass of sensors hosted by citizens and supporting organisations, allowing everyone to get a better understanding of the current status of air quality in Brussels and to see the changes over time. In order to check the quality of the sensors, we perform variation and validation tests. With the former we compare simultaneous measurements of the same type of sensors in the equal circumstances. With the latter we intent to compare our measurements with the official government stations.